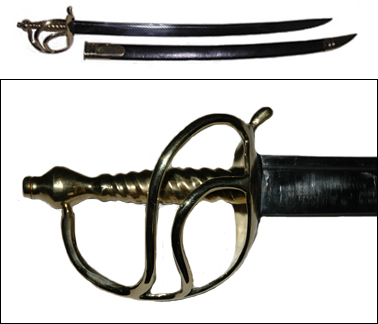 Circa 1760, the blade is quite typical of the period with it two fullers, one wide, one narrow. 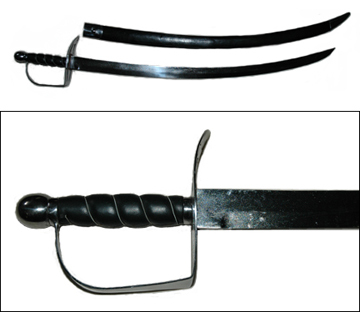 The blade is 28" long, 1 5/16" wide at the hilt. 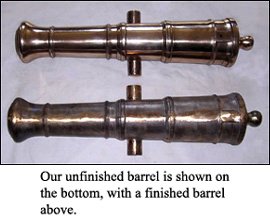 The guard is made from German silver with the cutouts so popular at the time, ending in a grooved pommel. The grip is hardwood, covered with fine black leather and silver twisted wire in the grooves. 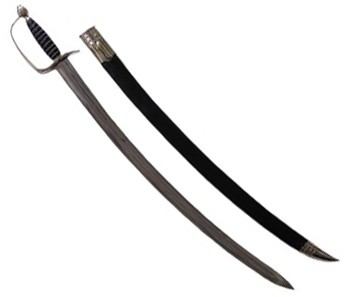 A very handsome weapon, all metal parts are white bronze and nicely polished.